VideoNow! makes it easier to sell your cars. When our Smartphone App is used in your sales department, it can improve on and perhaps open new channels of communication that you have with your customer and prospective customers. They say a picture is worth a thousand words, and at VideoNow!, we think that a video is worth a thousand pictures. 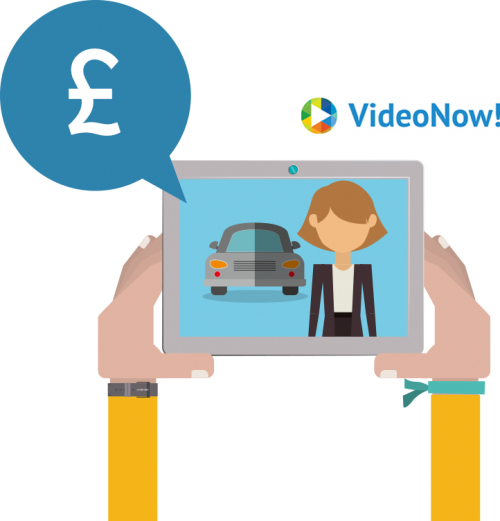 A personalised video which can answer the queries you receive about a stock vehicle is a modern way of communicating and is believed to lead to increased sales of vehicles in stock. The VideoNow! system also allows you to record videos for stock purposes which you can forward onto potential customers if you do not have a requirement to record a personalised video each time. Personalised videos would allow you to introduce yourself to your customer on first name terms as enquiries are received and focus on the points raised by the customer, but a stock video can be recorded at any time and emailed on demand as you required. The online VideoNow! dashboard will shows you the activity log for each video, including when it was emailed and viewed, and how many times it has been viewed. Using VideoNow! in your sales department should increase levels of sales and customer satisfaction.